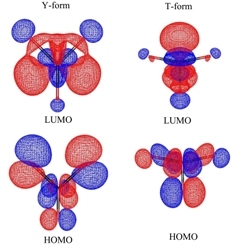 Results of DFT calculations of structure and vibrational IR and Raman spectra of uranium trioxide in the isolated state as well as in the surroundings of 30 neon and argon atoms are presented. It is found that the uranium trioxide molecule can exist in two conformers: Y-shaped and T-shaped. The degree of anharmonicity of UO stretching vibration in simple uranium oxides is defined. Characteristics of the computed vibration spectra are, generally, in a good agreement with the experimental data. Interpretation of the α-uranium trioxide Raman spectrum is realized on the basis of the calculations.